If you like soft succulents, you'll love this one. 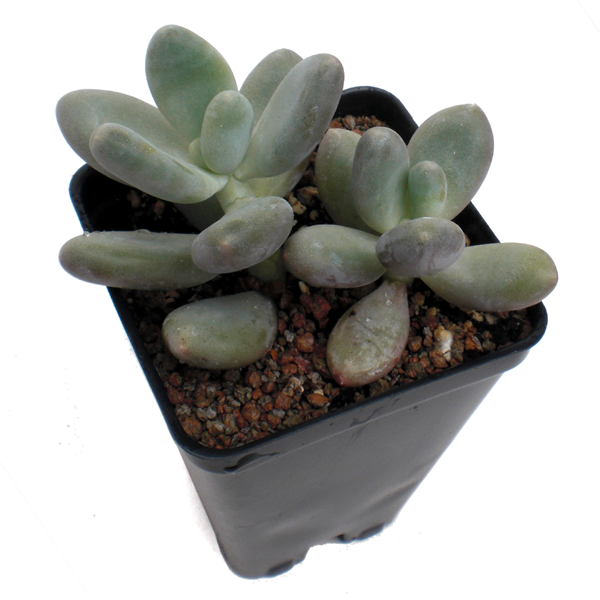 Plump, stone-like leaves in pastel purple, pink and green. The leaves have a powdery coating which adds to the odd, moon-rock appearance. If grown in a hanging basket, they will spill over up to 12 inches or just let them the trail along the ground like a bed of living pebbles. From Mexico.